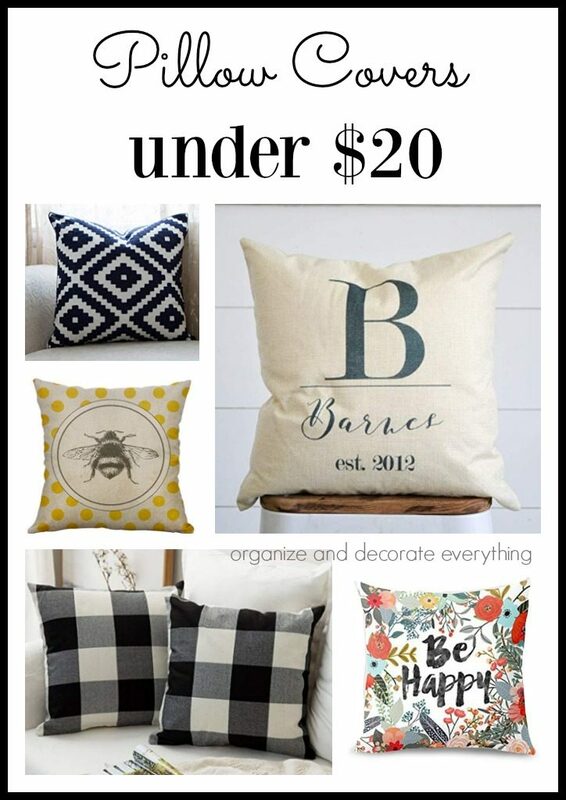 Check out some of my favorite Decorative Pillow Covers under $20 for any room in your house. I have included affiliate links to help you better find the specific product. I do get a small commission if you purchase through my link but there is no added cost to you. Prices may vary slightly. Thank you for your support! Finding pillow covers to share with you was hard. I wanted to share almost all of them I found in the style of farmhouse and boho, which are two of my favorite home decor styles. I was able to narrow it down to these 10. I hope you enjoy them. 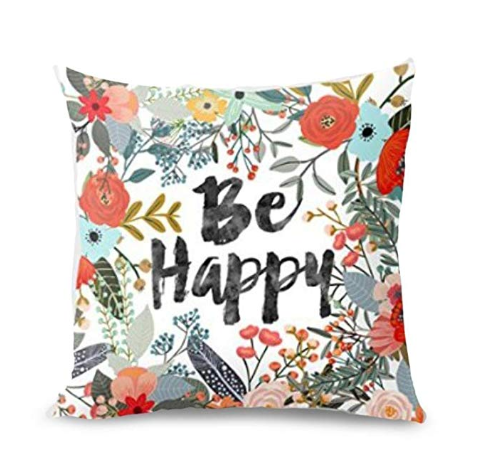 This Be Happy Flower and Plants patterned pillow cover would look great in the main rooms of your home for Spring and Summer. Purchase it for less than $5. I love a pillow with texture and you can’t find much more texture than a fur. I have several fur pillows in different colors and love them. 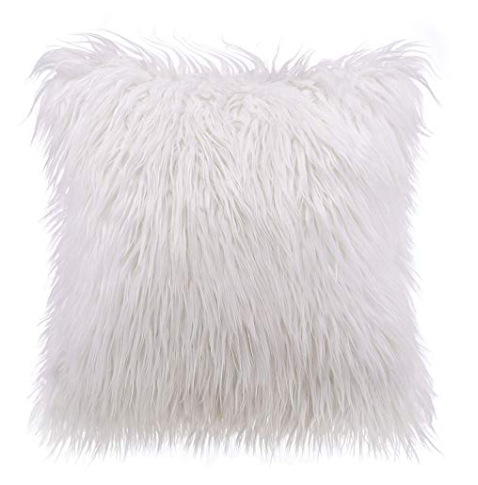 This Fur Throw pillow cover is only $8.99. Whether you call this buffalo check or plaid it’s still a popular look that looks great in any season and any room. 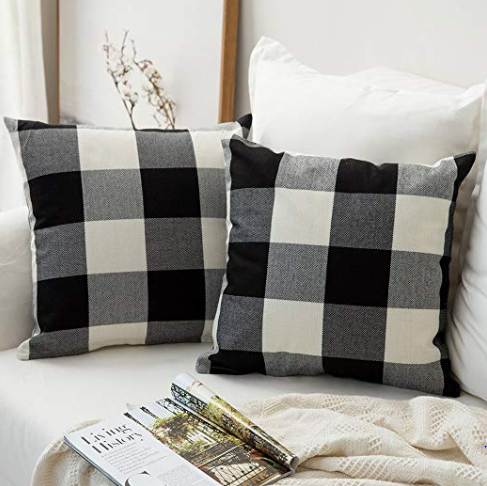 These Check Throw pillow covers come in a pack of 2 for $11.99. 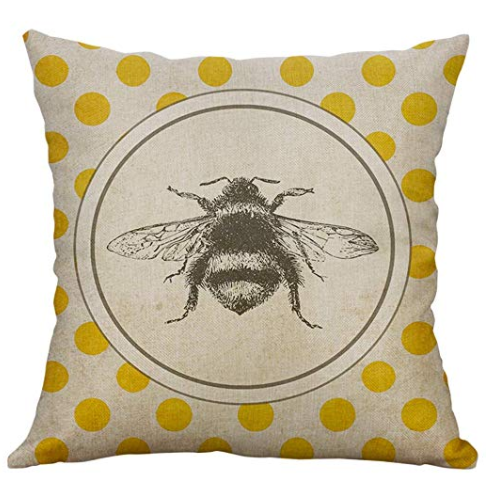 How cute is this Bee pillow? It would be darling in a living room or bedroom for Summer. If you have a covered patio that would be adorable too. The Vintage Little Insect Series Linen pillow cover is under $6. 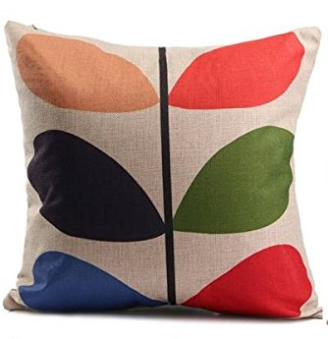 This is one of my favorite geometric pillow patterns. I have 2 similar to this in my son’s room and one in my living room. 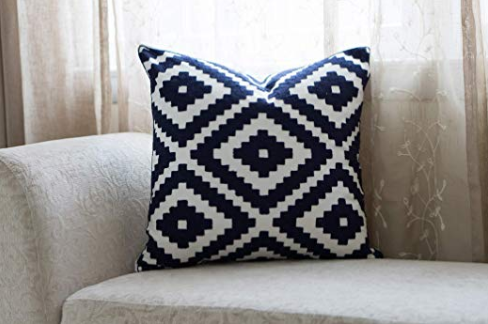 The Embroidered Diamond pillow cover is only $11.99. I think everyone needs a monogram pillow. In fact, I need to order this one for our anniversary. 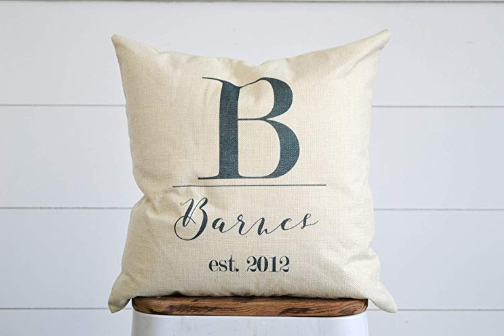 This Monogram Farmhouse Burlap pillow cover is $18. These Bohemian pillow covers just might be my favorite. 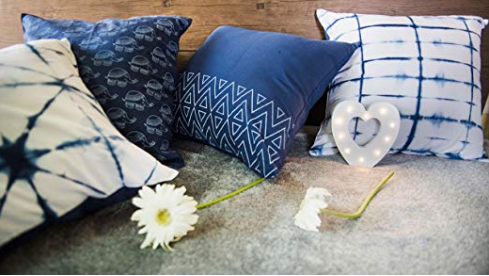 The set of 4 include Indigo Elephant, 2 Shibori Tie Dyes, and Block Print pillow covers. Throw them on your sofa for a whole new look for only $19.99. I have no idea what this says but it’s so pretty that it doesn’t really matter. 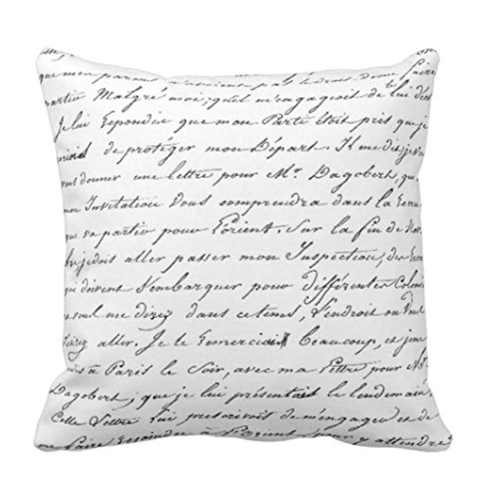 The Paris French Script pillow cover adds a bit of romance to any room. You can purchase it for only $9.90. I’ve always loved this bright and cheery pattern and it looks great on a pillow cover. It would be a nice addition to a family room. The Happiness Linen pillow cover is available for $11.94. Here’s another cute farmhouse design. 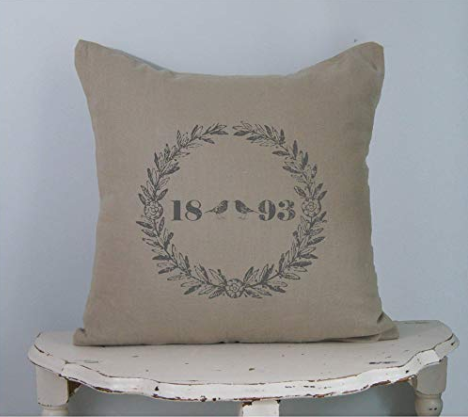 The French Farmhouse Grain Sack pillow cover is a nice addition to any main living space. It’s available for under $15. Let me know if you decide to purchase any of these. I would love to know where you style them.